Silversea Cruises 0-25% single supplements! 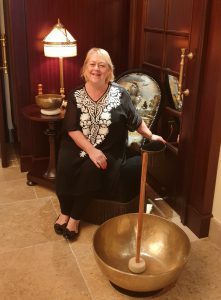 Our very own Debbie Collins recently joined a Thai Airways and Belmond trip including the famous Eastern & Orient Express from Bangkok to Singapore. “We had a very pleasant flight with to Bangkok with Thai Airways. Great service and the crew were wonderful. 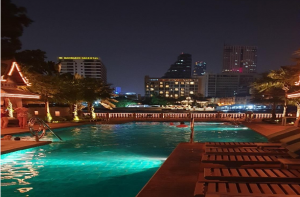 “We stayed at the sophisticated luxurious Peninsula Bangkok the first two nights of our trip. The Peninsula is situated on the Chao Phraya River. All deluxe suites have stunning river views. The hotel facilities are plentiful: The Spa has 18 treatment rooms with 2 levels of relaxation areas and a gym. The stunning pool area has three pools and complimentary cabanas. The Peninsula also offers complimentary daily health & harmony activities from morning sunrise yoga by the river to water aerobics. “On the second night we visited the stunning all-suite Banyan Tree hotel, which recently added 40 new suites to their existing 50. The new Serenity Club rooms include access to the club lounge on the 19th floor, with complimentary buffet breakfast, non-alcoholic refreshments, light snacks and free-flowing local beer. The hotel has seven world-class dining options. We were lucky enough to dine in the newly renovated Saffron. 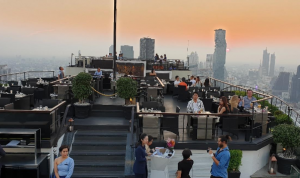 Saffron is located on the 52nd floor and provides excellent views over Bangkok City. “We were excited to board the Eastern & Oriental train. The check-in process was easy. Guests have the option of placing large luggage underneath the train, which I strongly recommend and packing a smaller cabin bag as space is limited. After check-in we were shown to a lounge area where they served cold drinks, tea or coffee and small sandwiches and cakes prior to boarding. A cultural group performed a beautiful Thai dance as a ‘welcome onboard’. We had a Pullman Cabin each which was perfect for one person. I would recommend the State or Presidential Cabins for two people. The Presidential Cabins include a complimentary mini bar and private transfers at the start and end of the journey. The ensuite bathroom was compact, with a hairdryer and nice toiletries and a storage area for your things. The cabin had power points and a USB port for charging devises. There is complimentary WiFi available in your cabin and the Observation car. 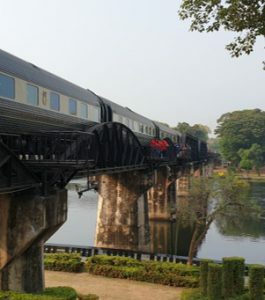 On first day we joined a morning tour of the River Kwai area which included a cruise along the Khwae Yai River, the Thailand- Burma Railway Centre and Don Rak War Cemetery. We learned about the history area, the events during the war and how the bridge was built. It was a very interesting tour and I highly recommend this. We returned back aboard at 1pm. 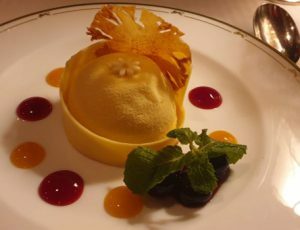 A stunning 3-course lunch was served in the dining car – it was absolutely beautiful. In the afternoon we had ample time for palm reading and foot massages. Afternoon tea was served in our cabin. Dinner consisted of a delicious 4- course menu, again served in the dining carriage. After dinner most people either retired to their cabin or went to the Piano Bar. The next day we travelled until after lunch. During the morning we attended an interesting session on how perfume is made. In the afternoon we had a choice of either a hike or a village tour. Tours on both days were included. 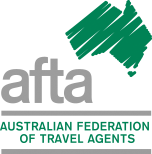 “After our arrival at Singapore train station we transferred to boutique heritage hotel Six Senses Maxwell for our last night. 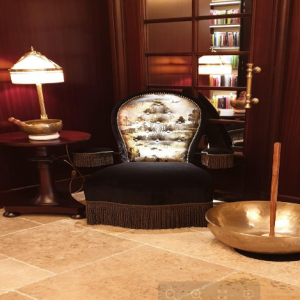 This stunning wellness hotel only opened late 2018 and is located in the Chinatown area with some lovely cafes and restaurants close by. The 138 rooms are decorated with custom furnishings and original artwork – no one room is the same. The mattresses are made of coconut husk and slept so well. There are Nespresso machines in each room along with complimentary still and sparkling water. The turndown service came with a Six Senses bag, tiger balm and sunset and sunrise wellness drinks in your mini bar. A lap pool with a beautiful outdoor lounge area and bar. Copyright 2018 ITbyus | All Rights Reserved.